Champion Sports Velcro Net Fasteners. Velcro net fasteners attached net to any goal post up to 4". Sold in a pack of 12. 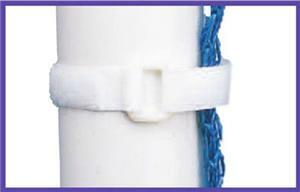 Velcro® net fasteners attached net to any goal post up to 4". Sold in a pack of 12.